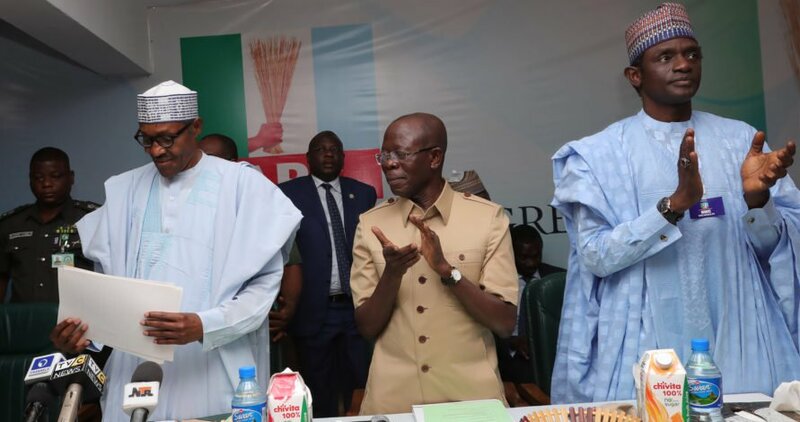 Ahead of the September 20 Presidential primaries of the All Progressives Congress (APC), President Muhammadu Buhari on Wednesday, picked up his expression of interest and nomination forms at the party’s National Headquarters in Abuja. According to a tweet by the Personal Assistant to the President on New Media and Coordinator of the Buhari Centre, Bashir Ahmad, a group of good Nigerians bought the expression of interest form and nomination form for him. The President is however due to return from China soon, where he attended the Forum on China-Africa Cooperation (FOCAC) summit alongside other African leaders. 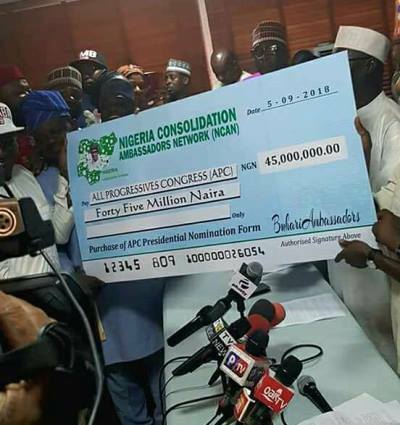 Members of Nigeria Consolidation Ambassadors Network (NCAN), a pro-Muhammadu Buhari group who presented the cheque to the party leadership at the APC Secretariat were received by the National Chairman of the party, Comrade Adams Oshiomhole. Read also: With over 10 presidential aspirants, what are the PDP’s chances against Buhari? on Wednesday obtained the presidential election nomination forms on behalf of the president who is currently in China for FOCAC.